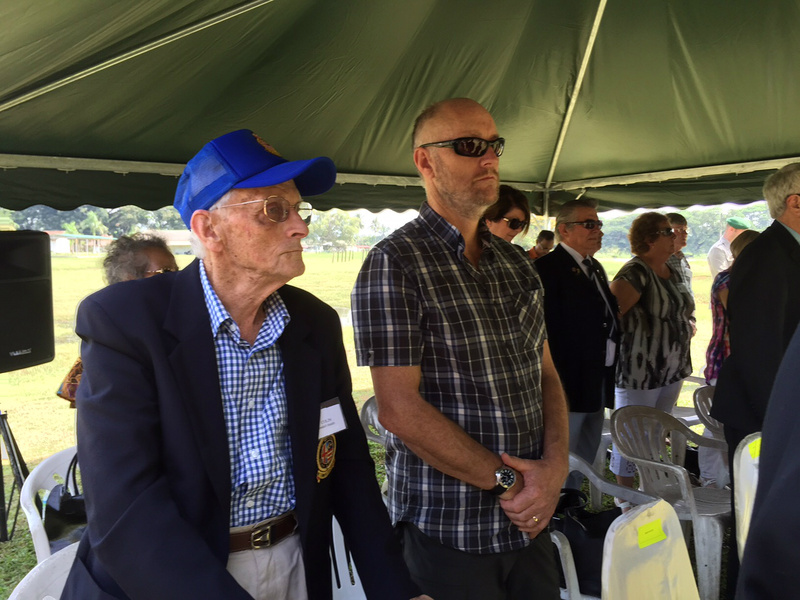 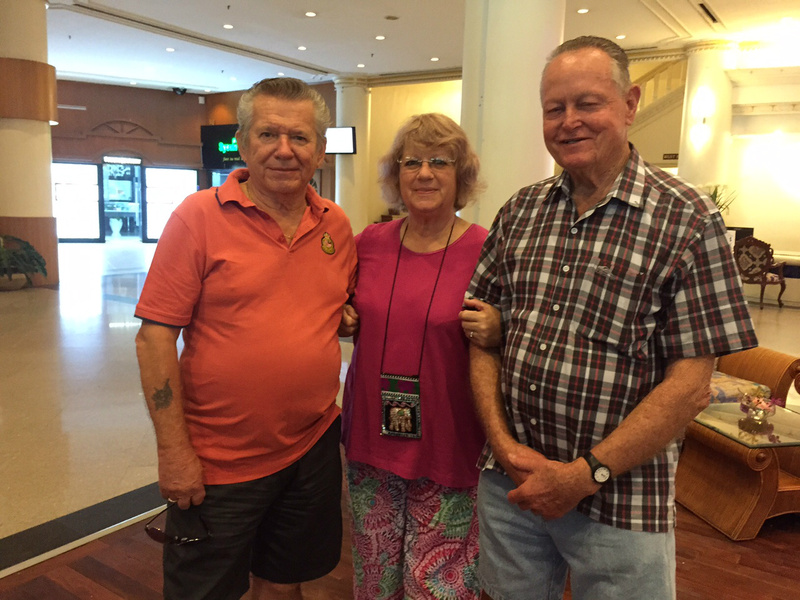 L - R Jan Huscha & Margaret McNeill, both TAS inc members, chat with NMBVAA QLD President, Fred Simpson. 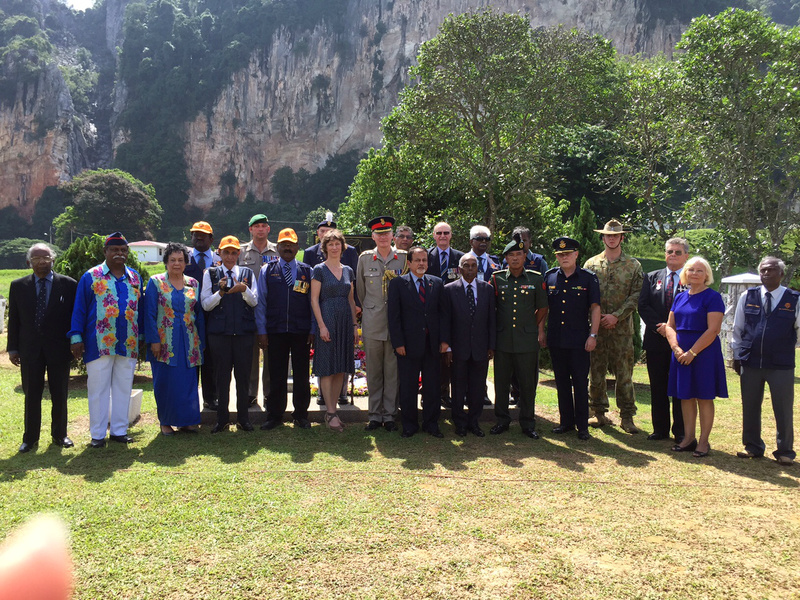 Group Photo at Perak Tourism Luncheon Sunday 14JUN15. 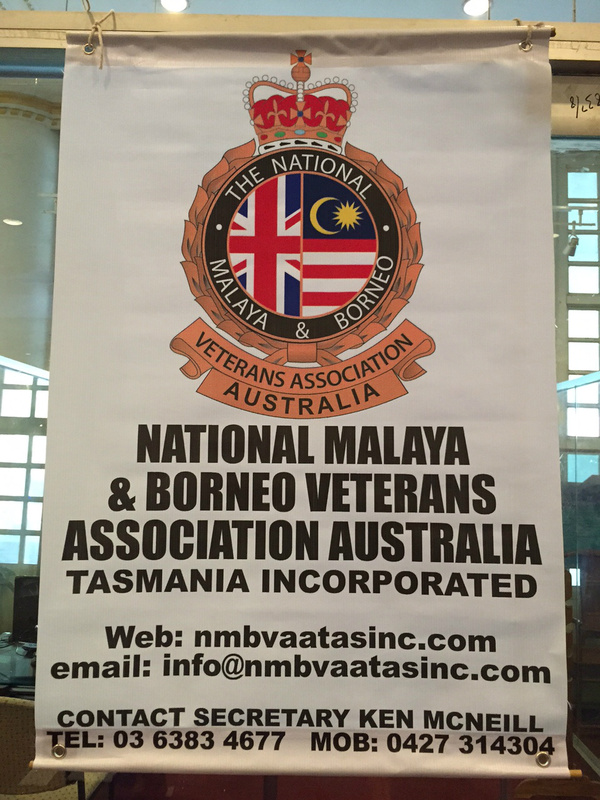 TASINC Banner shown off in the Lobby of the SYEUN Hotel 2015. 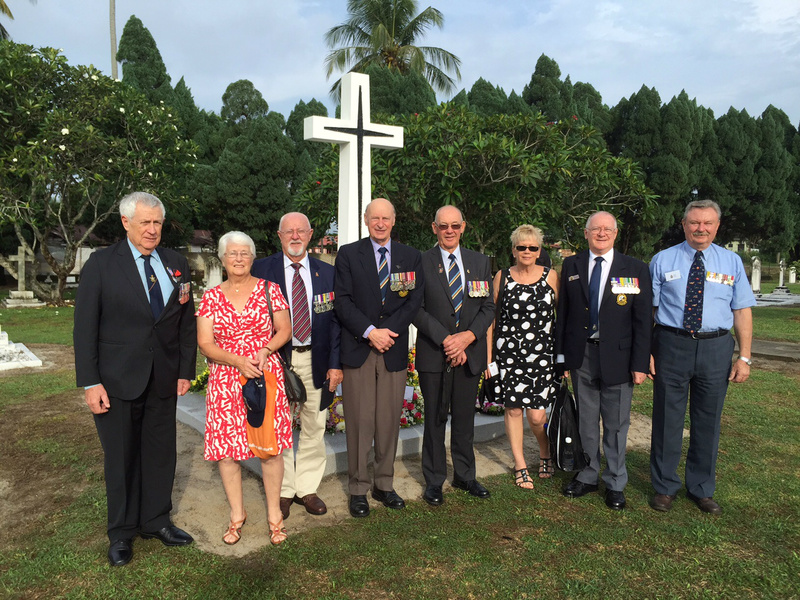 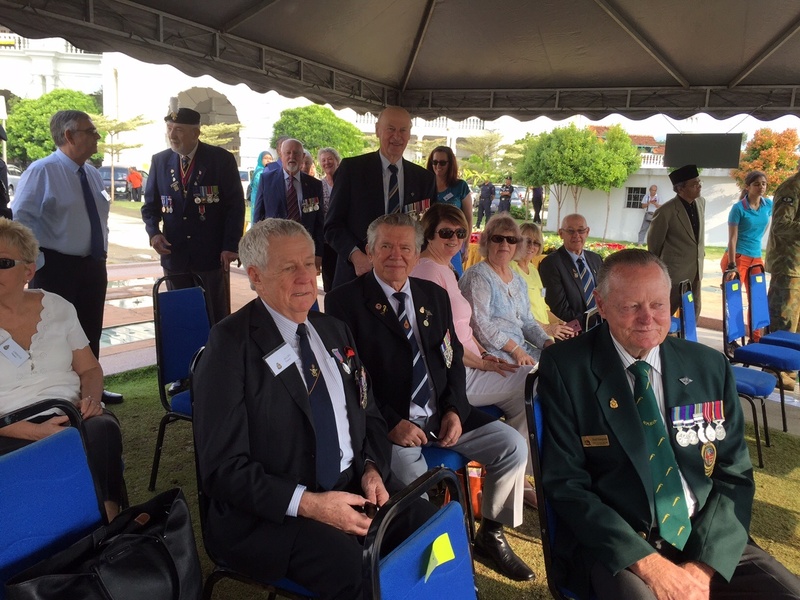 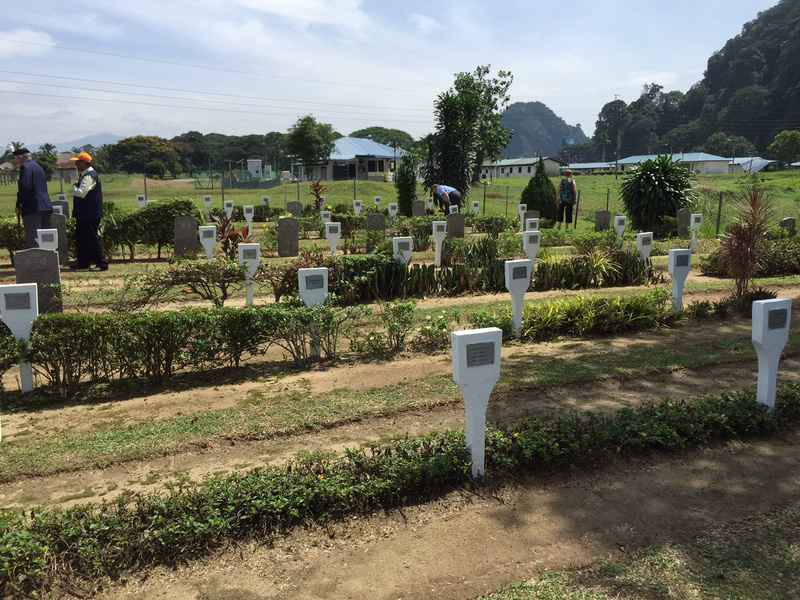 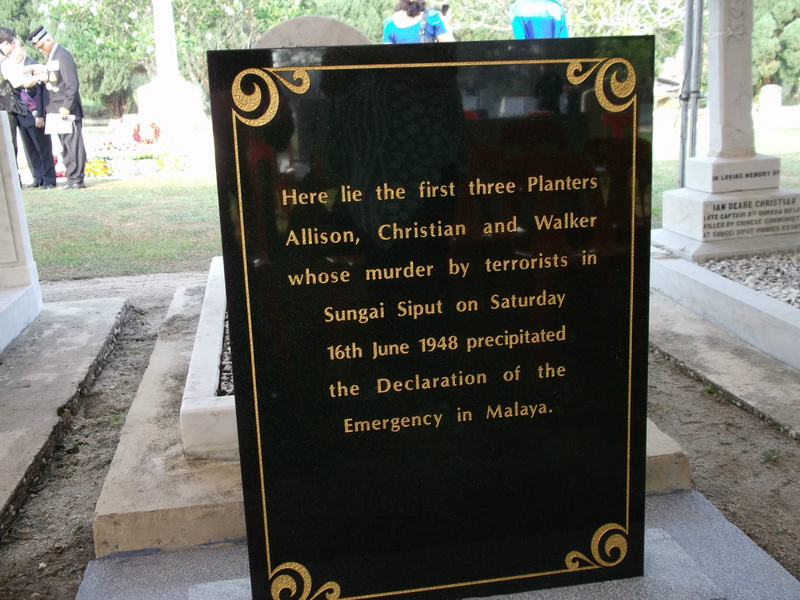 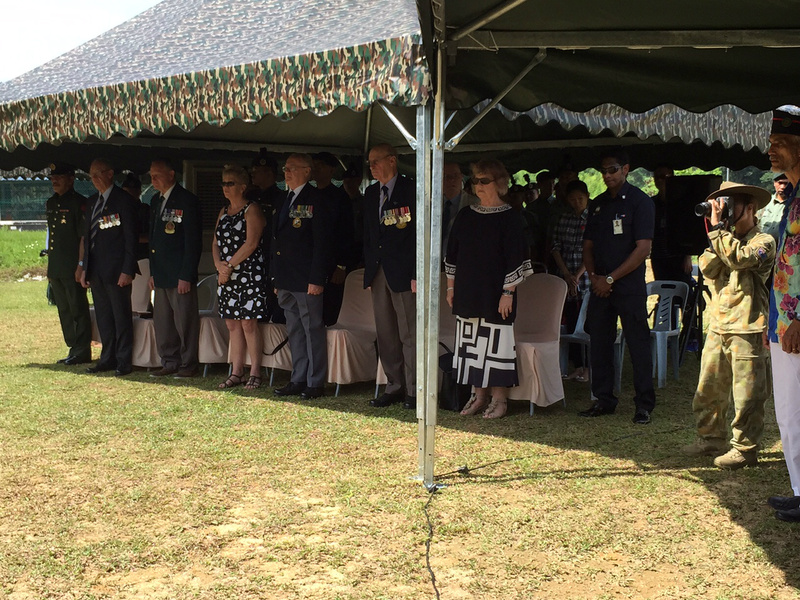 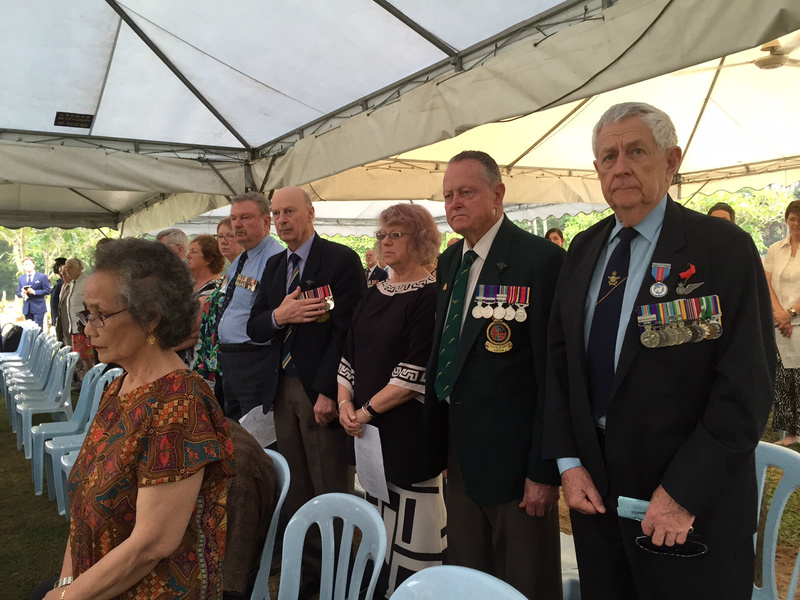 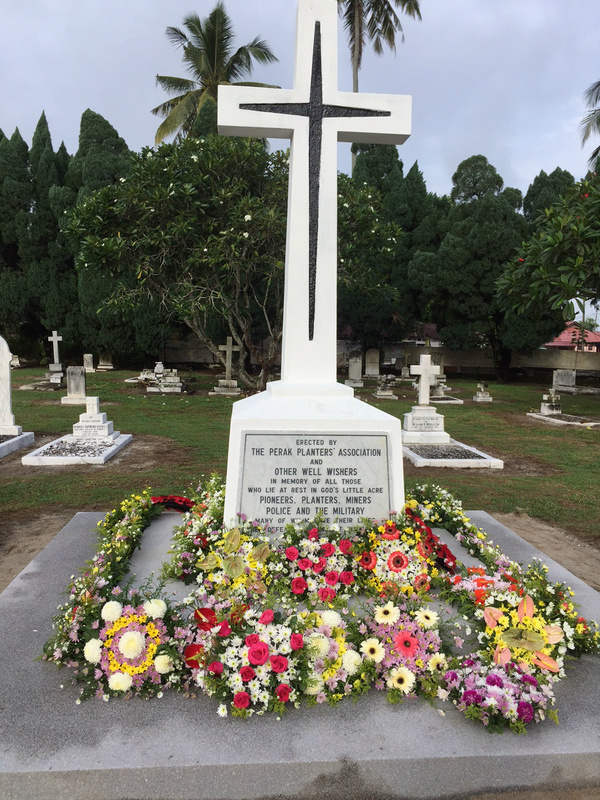 Ipoh Cenotaph...Allen Fraser,Jan Huscha, Fred Simpson. 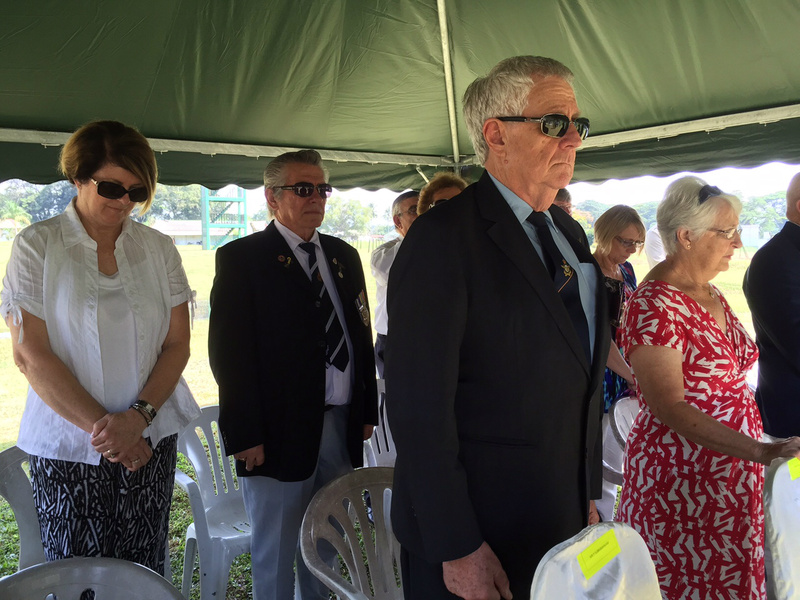 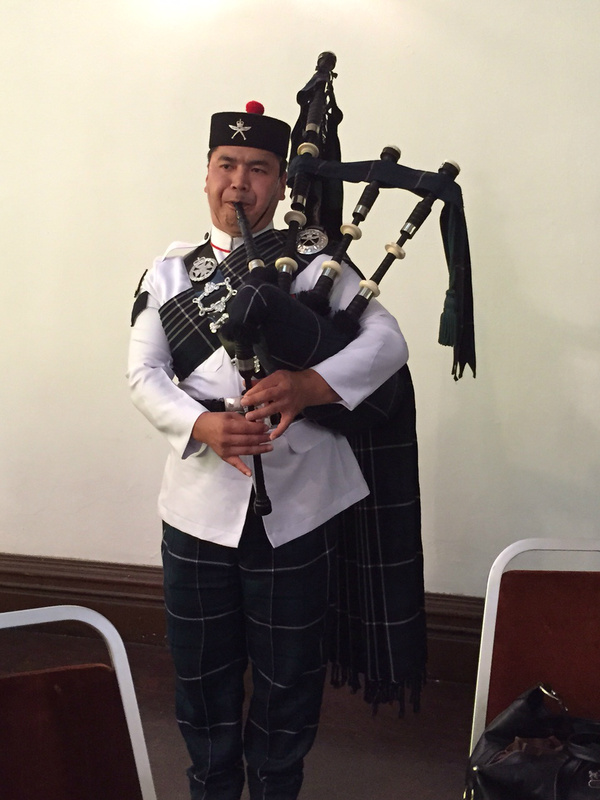 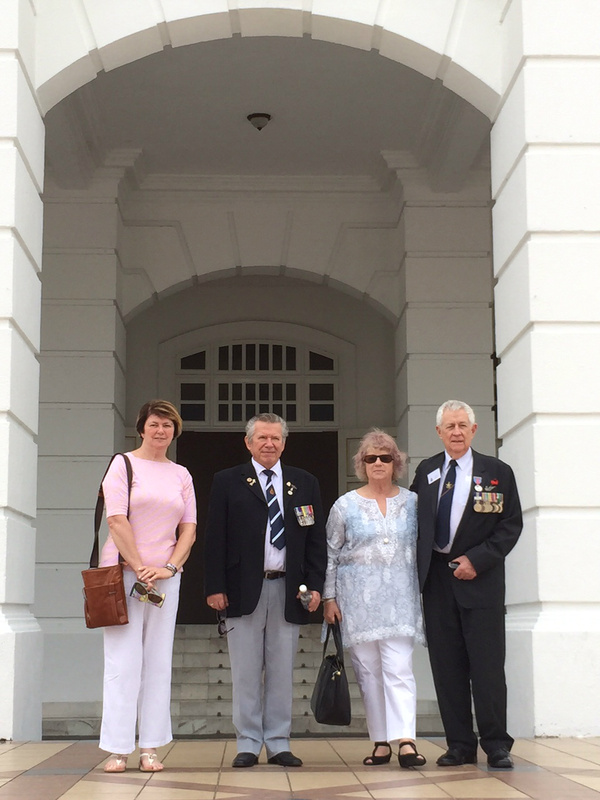 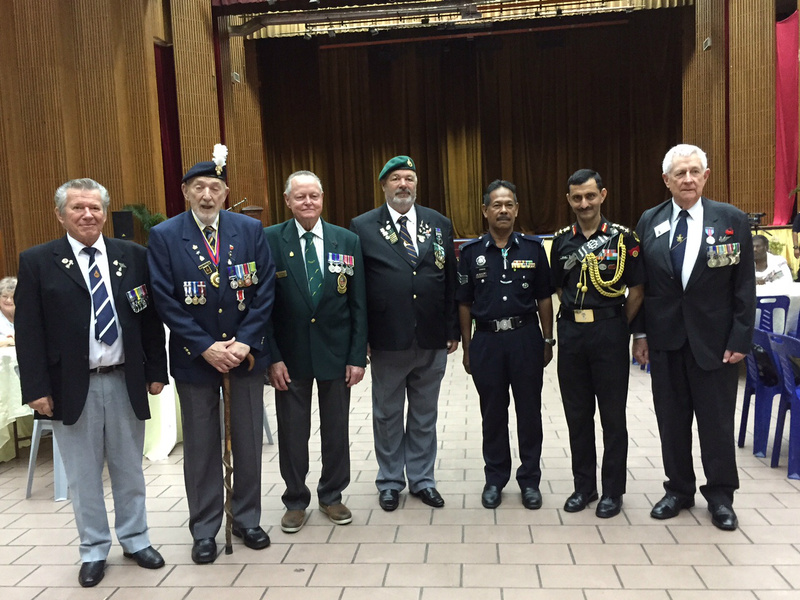 Brenda & Jan Huscha, Margaret McNeill, Allen Fraser, at the Ipoh Town Hall after the Ipoh Cenotaph Ceremony. 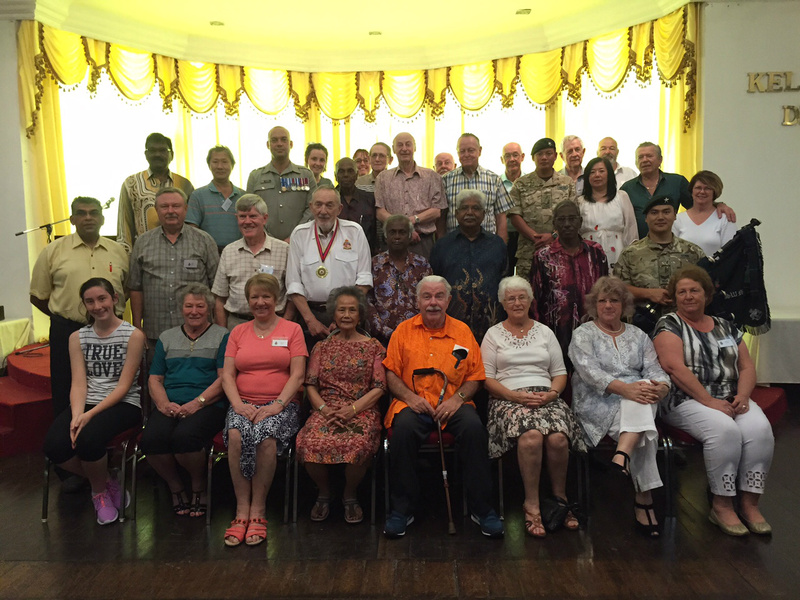 Group at the Ipoh Town Hall. 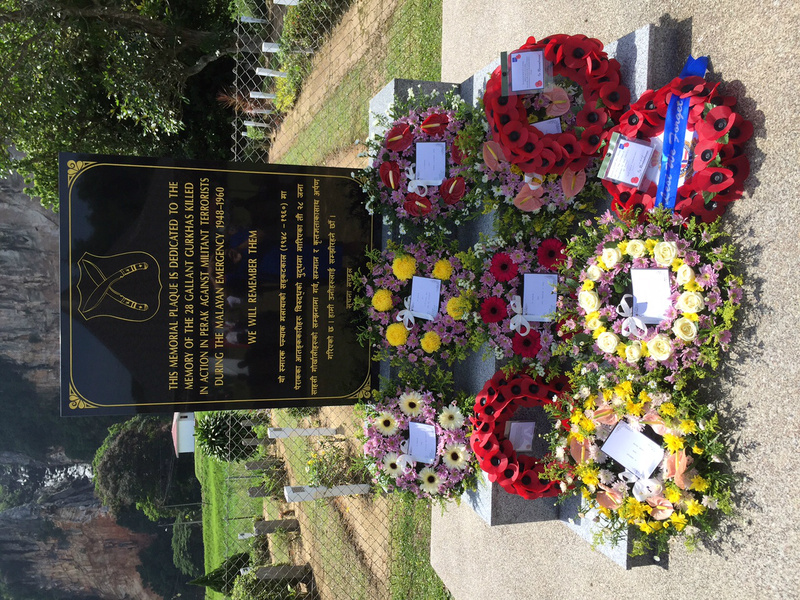 Ghurka Memorial.. 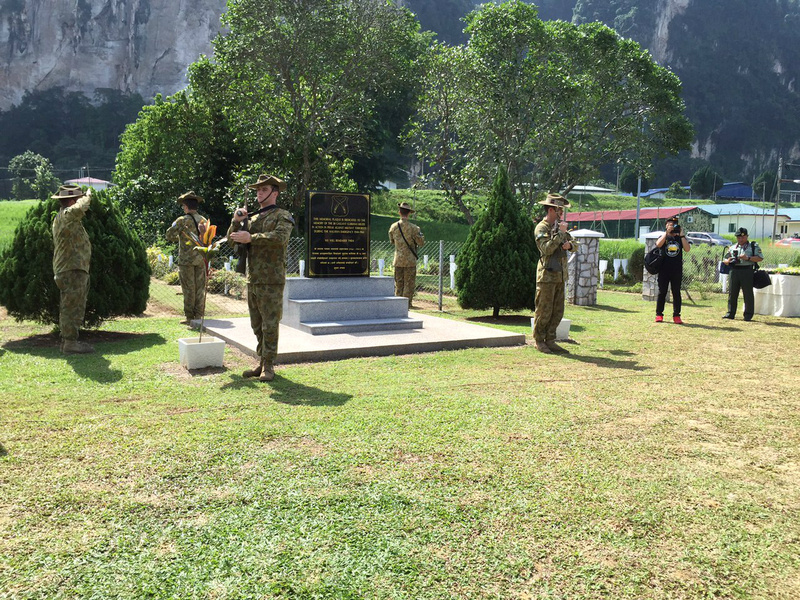 Soldiers from the 2/30th Training Bat, Butterworth. 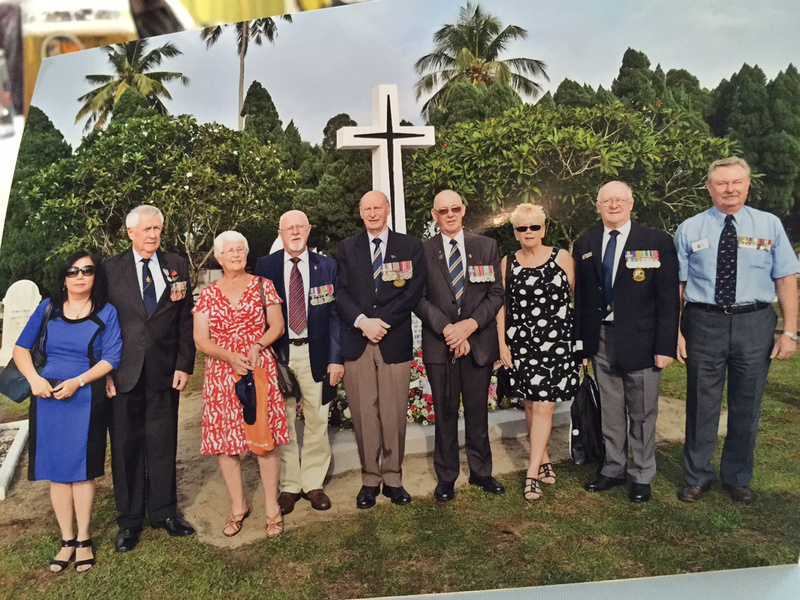 At Batu Gaja L - R ...Pearl Lin, Allen Fraser,Jan & Gary Blaxter, Ken McNeill, Alvin Conacher, Cheryle & Ralph Daines, John Ward. 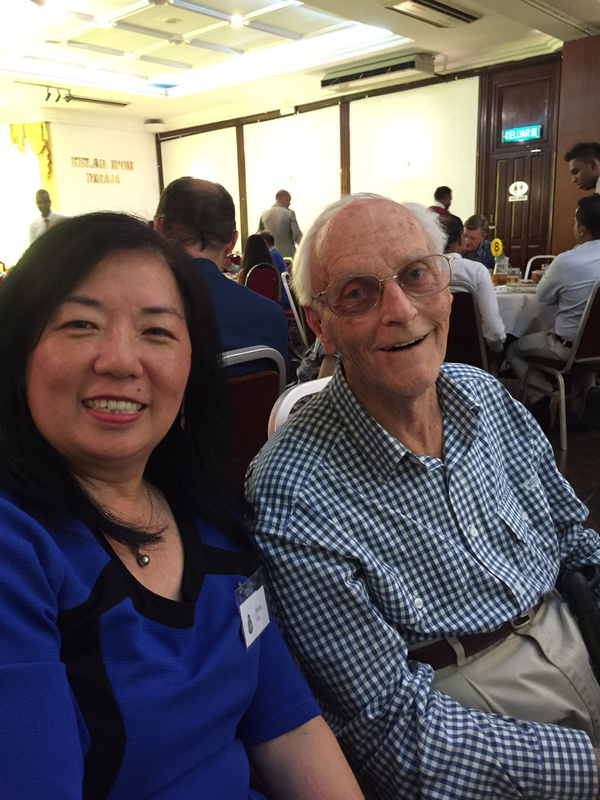 Famous photographer, Pearl Lin with Colin Wendell-Smith. 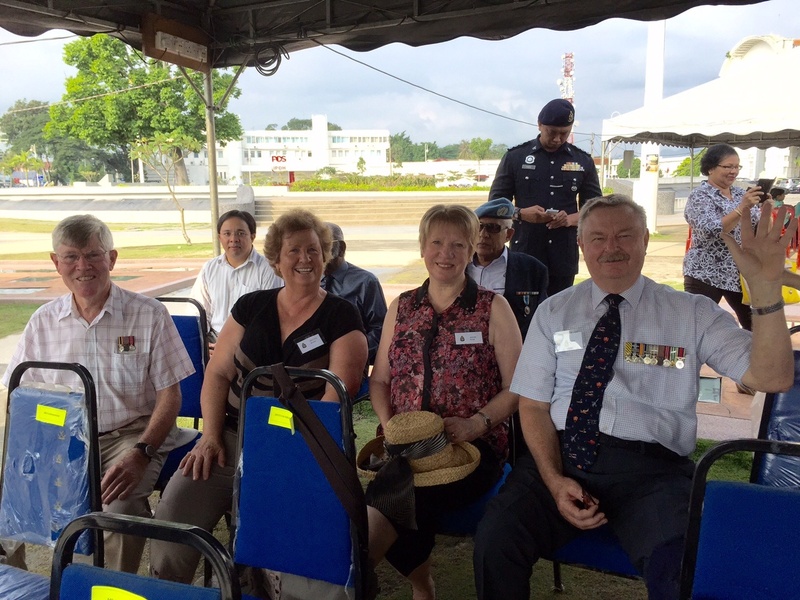 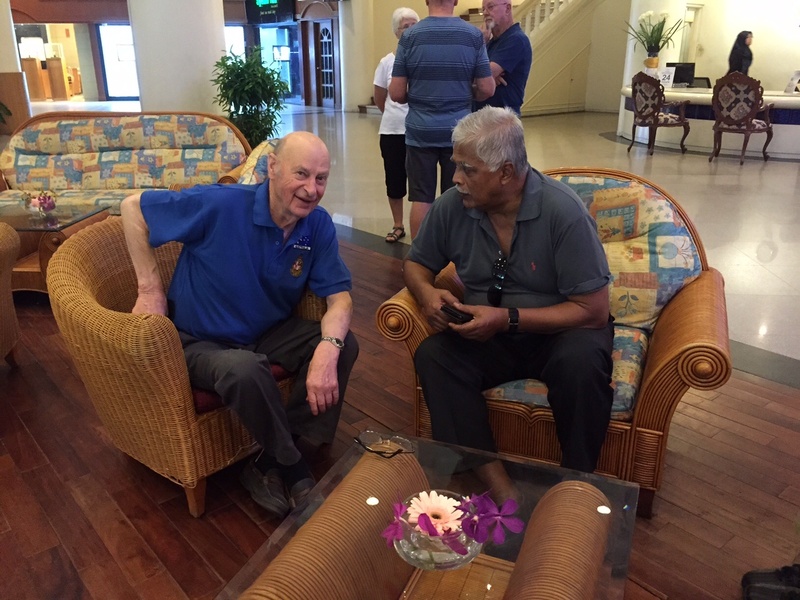 The NMBVAA Pilgrimage to Malaysia attracted 33 people from Australia this year..These snaps from various venues.